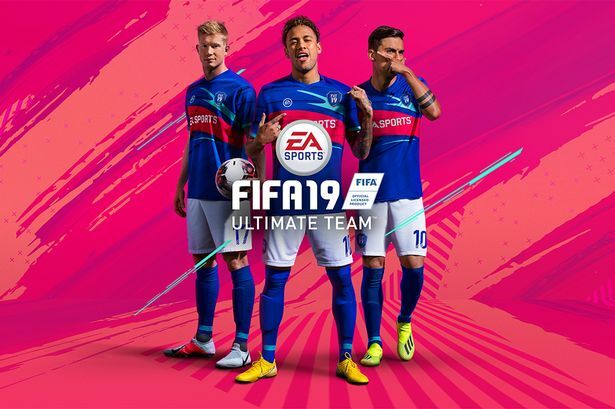 FIFA 19 Ultimate Team TOTW 20 Revealed - Do Any Manchester United Or Man City Players Make The Cut? The FUT TOTW week 20 has now been revealed, and there are no Premier League players in sight. That's because EA Sports do not take into account performances in domestic cup competitions when deciding the FIFA 19 TOTW, so there are no Premier League players included this week. So, fans of both Manchester United and Man City will have to wait until next week at least to see their players given a boost. However, the likes of Karim Benzema, Angel Di Maria, João Cancelo and Nelson Semedo all feature. Here is the FIFA 19 FUT week 20 TOTW in full. OGC Nice goalkeeper Walter Benitez (84) starts in goal in this week's TOTW, after making seven saves, claiming a clean sheet and earning a MOTM in Nice's 2-0 win over Nimes in Ligue 1. Montpellier's Hilton (84) and Atletico Madrid's José Giménez (86) start as central defenders in the TOTW, after both recording clean sheets and 2-0 wins for their clubs. Barcelona's Nelson Semedo (83) starts at RB after scoring in Barcelona's 2-0 win at Girona in La Liga. This week's TOTW midfield includes Borussia Dortmund's Raphaël Guerreiro (82), Juventus' João Cancelo (87) and Atalanta's Alejandro Gómez (87). Guerreiro and Canelo both scored, whilst Gomez recorded two assists. The FUT TOTW front three features Real Madrid's Karim Benzema (86), PSG's Angel Di Maria (87) and Sampdoria striker Fabio Quagliarella (85). Benzema scored twice for Madrid in their 4-2 win at Espanyol, Di Maria both scored and assisted against Rennes, whilst Quagliarella scored two and assisted another as Sampdoria saw off Udinese 4-0. These cards will be available in packs from 6 pm on Wednesday 30 January.